Vinery is a proven Gr1 vendor at the Inglis Easter Yearling Sale and proven stallions dominate this year’s draft heading to the Riverside Stables. Legendary shuttler More Than Ready (USA) is joined by sires the calibre of I Am Invincible, Medaglia d’Oro (USA), Written Tycoon and Hinchinbrook. 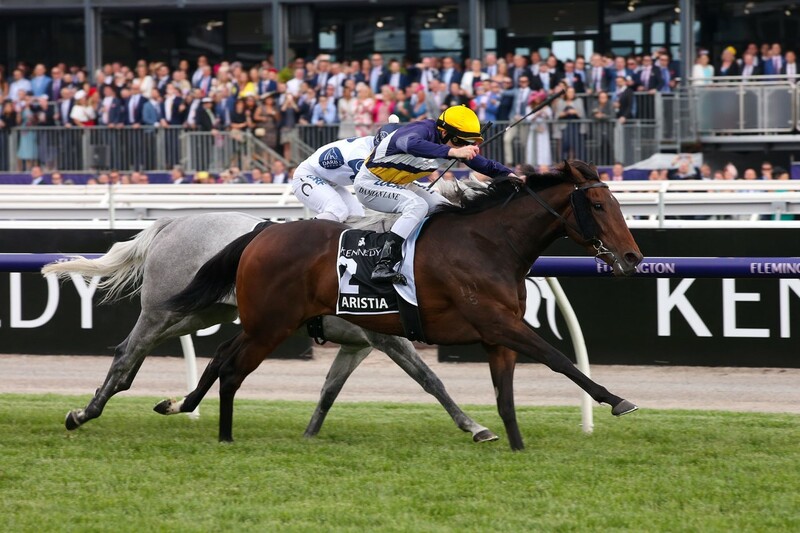 It’s a proven formula with Vinery’s Easter graduates winning 12 Gr1 races in recent years. Leaders of that elite list are Aristia (VRC Oaks), Shamus Award (Cox Plate), Atlantic Jewel (Thousand Guineas), Entisaar (Allan Robertson Championship), Delectation (Darley Classic) and Russian Revolution (The Galaxy). Vinery Bloodstock Manager Adam White said established sires like I Am Invincible will invariably generate interest at all levels. “Our I Am Invincible colt from Liten Prinsessa (Lot 93) is a standout. He will attract everyone on type and he’s by the right sire from a very strong family.” Liten Prinsessa (Bernardini) was trained by Stephen Marsh from his Cambridge stables to win her first two starts as a spring 3YO at Tauranga and Hastings. Sold to race in Melbourne, she won at Mornington and Moonee Valley but missed a hat-trick after getting on heels and nearly losing her footing at Caulfield. Her full-sister Ruud Awakening won the NZ Diamond Stakes Gr1 and their younger half-sister First Drawn (Brazen Beau) struck more black-type when third on debut in the Merson-Cooper Stakes LR at Sandown in November. Liten Prinsessa was sold off the track for $300,000 at the 2017 Magic Millions National Broodmare Sale. Vinery partner Steve McCann sent her to More Than Ready last September. More Than Ready has 14 lots for Easter from the Hunter Valley’s leading studs and their clients include two colts and a filly conceived at his long-time southern-base. Vinery’s filly out of Sacred Choice (Lot 238) has enormous residual value. Her dam was a Gr1 winner at Randwick and Flemington and has had two to race for two winners. More Than Ready is a global phenomenon as the world’s all-time leading sire of winners. At the latest count, he has sired 1,768 individual winners of 5,342 races at an amazing 73% strike-rate. He has reached legend status in his own lifetime and currently fifth among history’s greatest sires of Stakes-winners: Danehill (347), Sadler’s Wells (294), Galileo (289), Danzig (198), More Than Ready (192). Vinery also has colts by sale-topping sires Written Tycoon and Medaglia d'Oro plus Hinchinbrook’s half-brother to the Ming Dynasty Gr3 winner Swear (Lot 413). The Written Tycoon colt (Lot 46) is a half-brother to Summer Sham who won the 2018 Angus Armanasco Stakes Gr2 at Caulfield while the Medaglia d'Oro colt (Lot 247) owns a pedigree with an amazing 7 stakes-winners under his second-dam, which is even more amazing when one of them is Black Caviar. Vinery’s draft will be available for inspection at Barn I from Thursday morning, April 4.